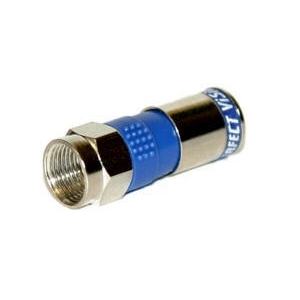 Quick, easy installation on all RG6 and RG6 Dual coax. Passed stringent moisture migration testing to SCTE standards. Patented compression ridges lock in for a fool proof installation every time.